Never travel to Berlin in late November!! It is so cold!! This was after graduation and couple of friends from college decided to get together. We were living in different parts of Europe. After some deliberations, we decided to visit Berlin together. I took the flight on Friday afternoon from Stockholm and returned back on Sunday night. 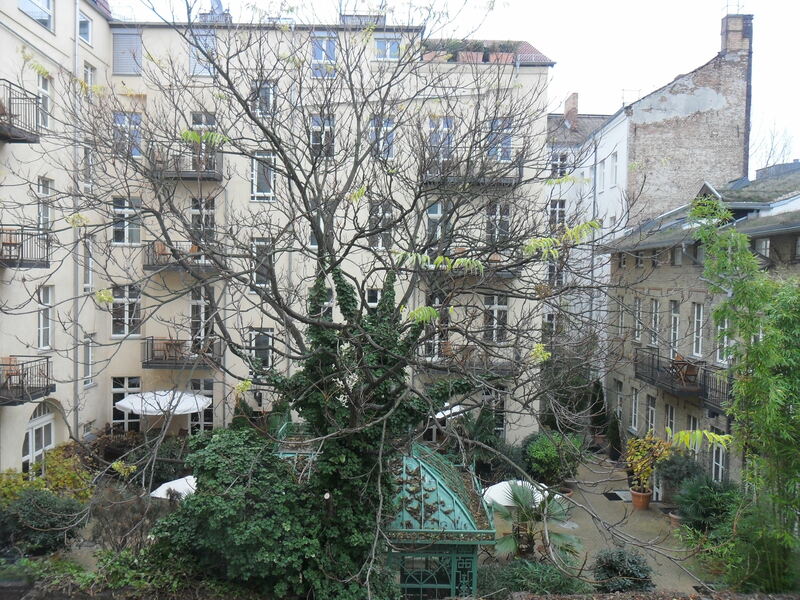 We met in the evening at the Berlin Hauptbahnhof and stayed at Pfefferbett apartments (Clean, affordable and conveniently located) which was close to the railway station. 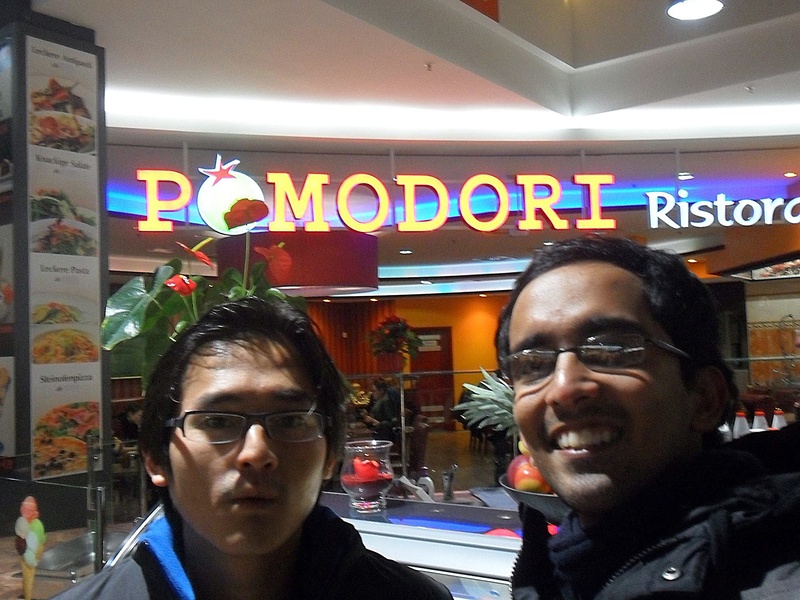 After having dinner, we walked around Berlin before retiring early. On Saturday, we visited Potsdam. I will talk about the later parts of the Berlin trip in an another blog post. 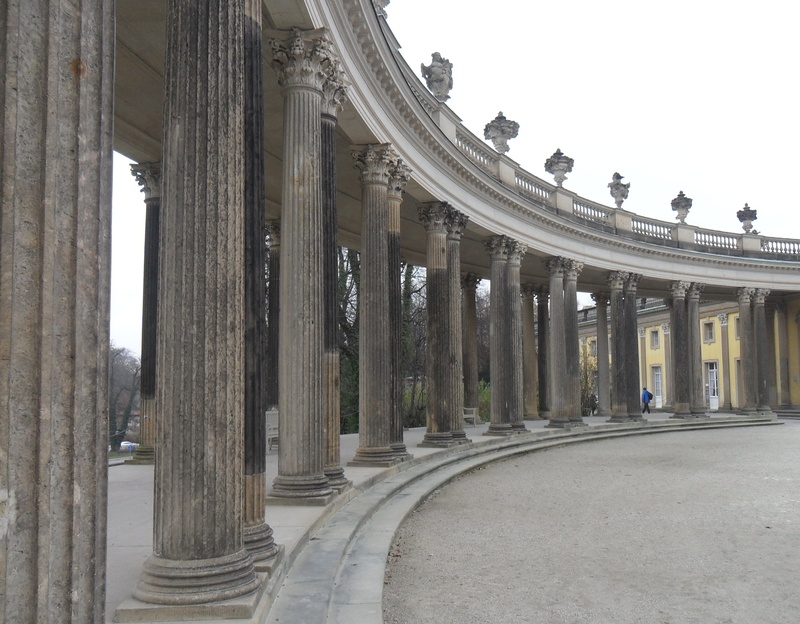 As for Potsdam, it is the capital of Brandenburg state and is located about 40 km from Berlin. After a quick breakfast, we took the train to Potsdam which takes about 40 minutes. At the Potsdam Hauptbahnhof exit, we took the guided tour bus. The initial plan was to take a map and walk around the city ourselves. However, time constraint as well as the freakishly cold weather forced us to take the guided tour. The tour took us to three places of interest: Sanssouci palace and park, Cecilienhof and new palace at Sanssouci. 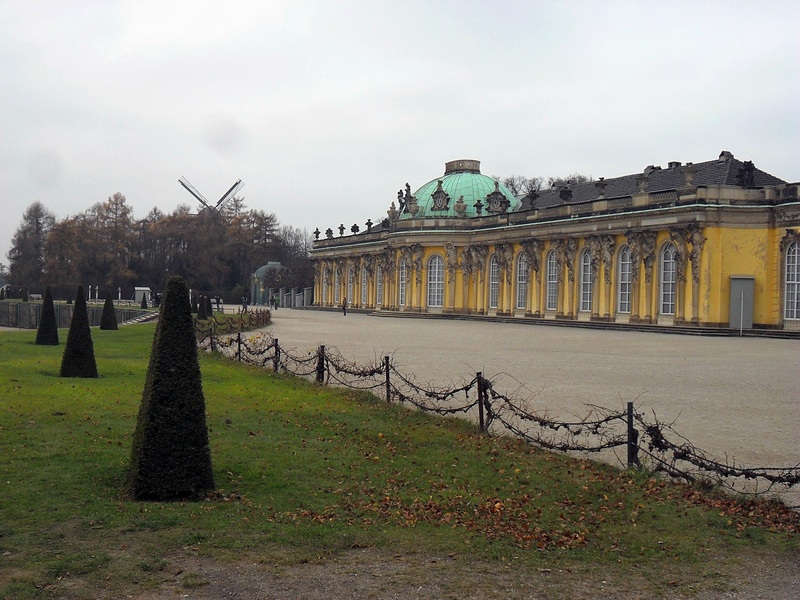 At Sanssouci, the guided tour involved a walk around the palace and the gardens. There wasn’t any time to go inside and see the rooms. After the gardens, we went to the new palace at Sanssouci. Again, no time to go in and we spent most of the time taking pictures of the exterior. 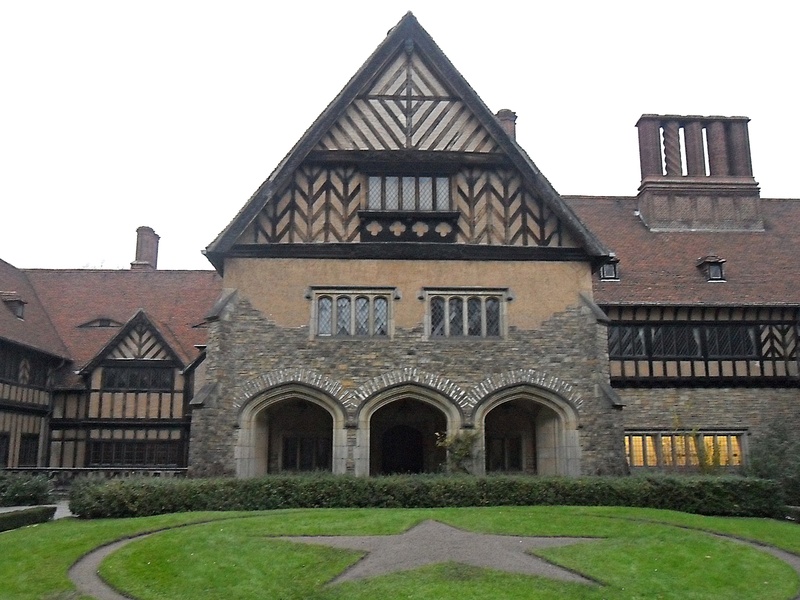 Finally, we visited Cecilienhof. 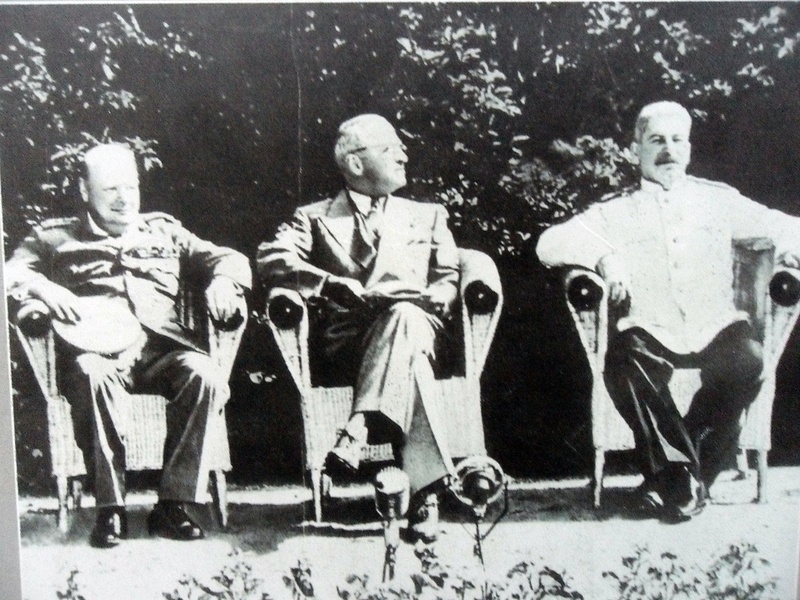 It was the venue for the Potsdam Conference which had Stalin (Russia), Truman (USA) and Churchill (UK) meet right after World War II in 1945. I wouldn’t recommend taking the guided tour as it did not include a visit to the interiors of the palaces. Otherwise, Potsdam is a nice place to visit if you have free time in Berlin. If it is a short stay in Berlin, better stay there. 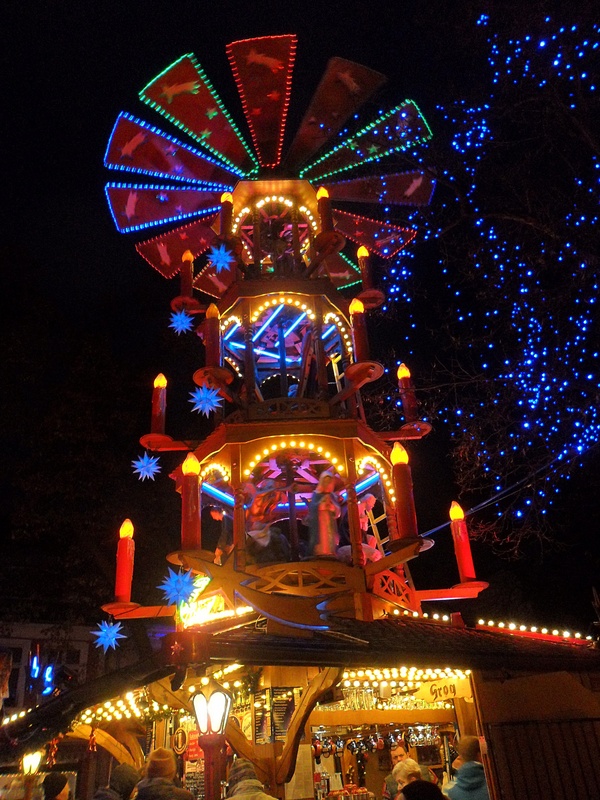 After staying with the tour for about 3 – 4 hours, we were dropped off at the Christmas market. One of the best things about European winters are these markets. After having our fill, we went to the station and returned to Berlin for the night.